Join a team that provides opportunities for growth, advancement and rewarding careers in a fun, safe, working environment. Some restrictions apply. See restaurant for details. Certain benefits require minimum qualifications. Pizza Hut is an Equal Opportunity Employer. Position summary: If you are a natural and experienced leader who loves unique challenges, putting together a winning team, and enjoy teaching and motivating others, here's your chance - you can be a Pizza Hut General Manager. Not only will you be given the opportunity to do everything already mentioned, but you will also be able to do so much more. Position summary: If you are a natural leader who loves unique challenges, putting together a winning team, and enjoy teaching and motivating others, here's your chance to. More specifically, you can be a Pizza Hut Assistant General Manager. Not only will you be given the opportunity to do everything already mentioned, but you will also be able to do so much more. Position summary: If you're ready to take the next step in your career in restaurant management, our Shift Leader position is the right place to do it. Working as a Shift Leader will let you develop your management skills while still having the time to do the things you enjoy. You'll benefit from our training and career opportunities and receive reward and recognition for your efforts. 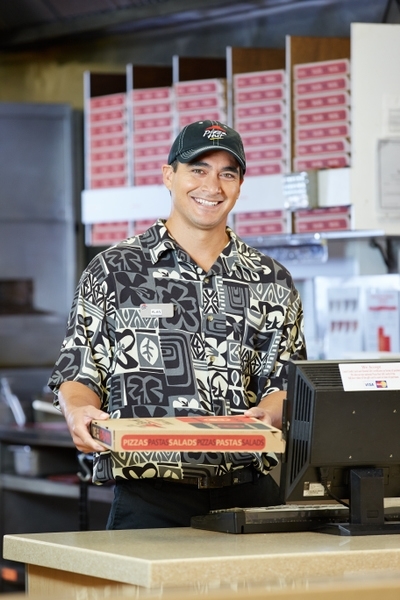 Position summary: We're looking for the best to deliver Hawaii's best. Buckle up, hit the road and start making hungry people happy as a delivery driver for Pizza Hut. Get paid to work in your mobile office - your car - listening to your own tunes and delivering great products, all while collecting tips! Includes wages, tips and reimbursements. Some restrictions apply. See restaurant for details. Certain benefits require minimum qualifications. Pizza Hut is an Equal Opportunity Employer. Position summary: We're looking for the best to deliver Hawaii's best. Break away from the pack on an e-bike and start making hungry people happy by becoming an e-bike driver for Pizza Hut! Get paid to work delivering great products, all while collecting tips! Position available at Beretania, Laie, Schofield and Waipio locations. 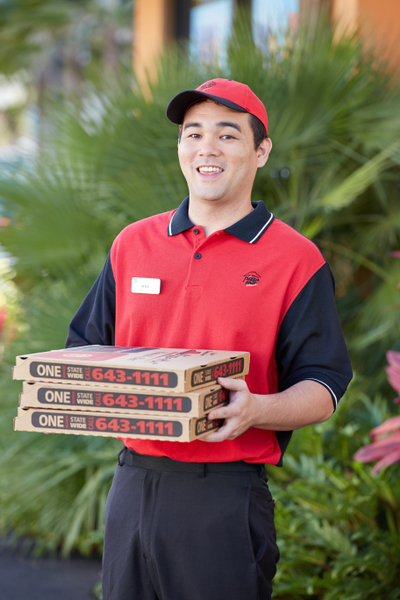 Position summary: As a Pizza Hut Team Member, you can be the smiling face that greets and serves the customers or a cook who make things happen in the kitchen. You'll learn new things, get recognized for your efforts and learn skills that will last a lifetime. 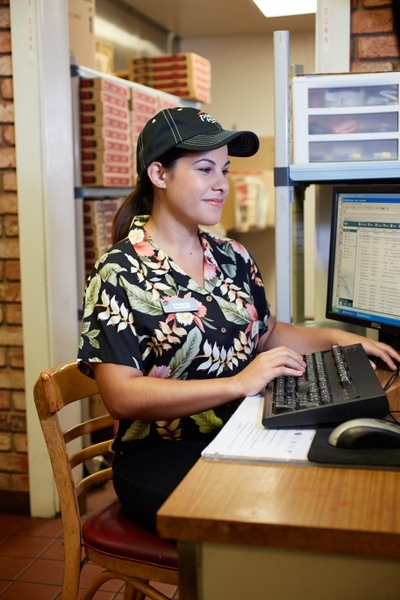 Position summary: Wait Help at Pizza Hut is about making hungry people happy - with tips! You're the smiling face that greets and serves our customers. You'll learn new things, get recognized for your efforts and learn skills that last a lifetime. Position summary: As a Customer Service Representative, you are the first impression of the brand. If you enjoy talking on a phone and interacting with different people daily, consider becoming a Customer Service Representative. New hires, please click here for electronic enrollment forms.